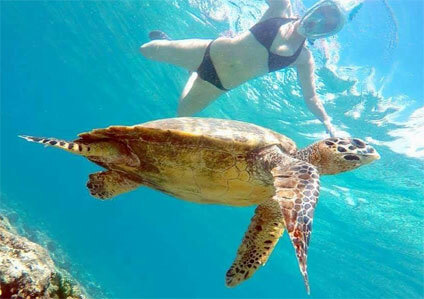 Are you looking for a different holiday destination that is both authentic and exotic ? 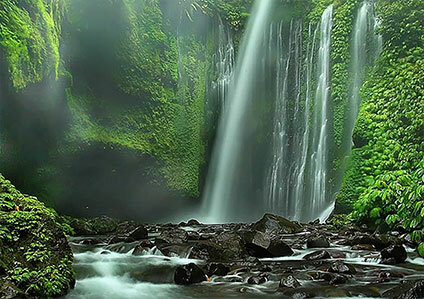 In Northwest Lombok, also known as “the wild”, there is a hidden gem called THE RINJANI BEACH ECO RESORT. 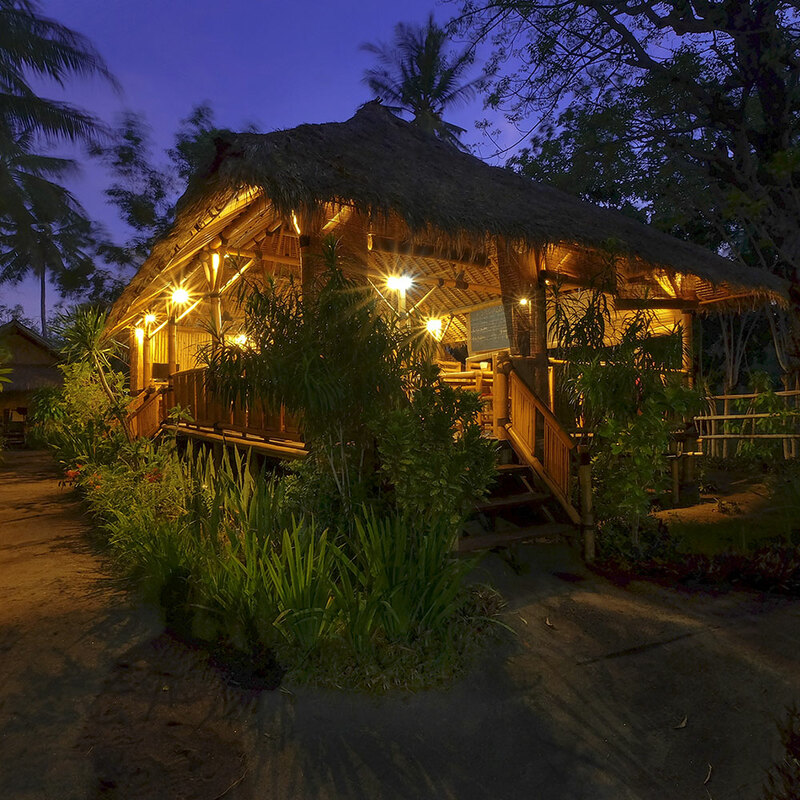 The resort is covered with green coconut palms and faces the famous Gili islands. Cannot decide between the sea and the mountains? 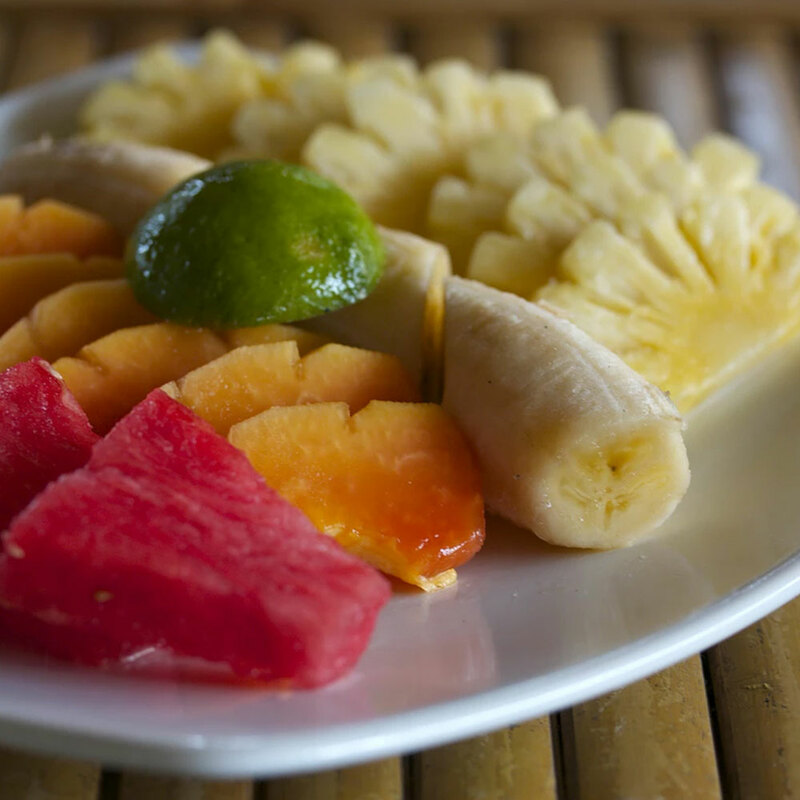 The Rinjani Eco Beach Resort offers both. Enjoy the charm of living in an authentic bamboo bungalow with stunning views of the ocean or mountains, the sunrise over Mount Rinjani and the rice fields, or the sunset over the ocean with views of the Gili Islands and the volcano in Bali. A dream location for any holiday be it with your significant other, your family or your friends. 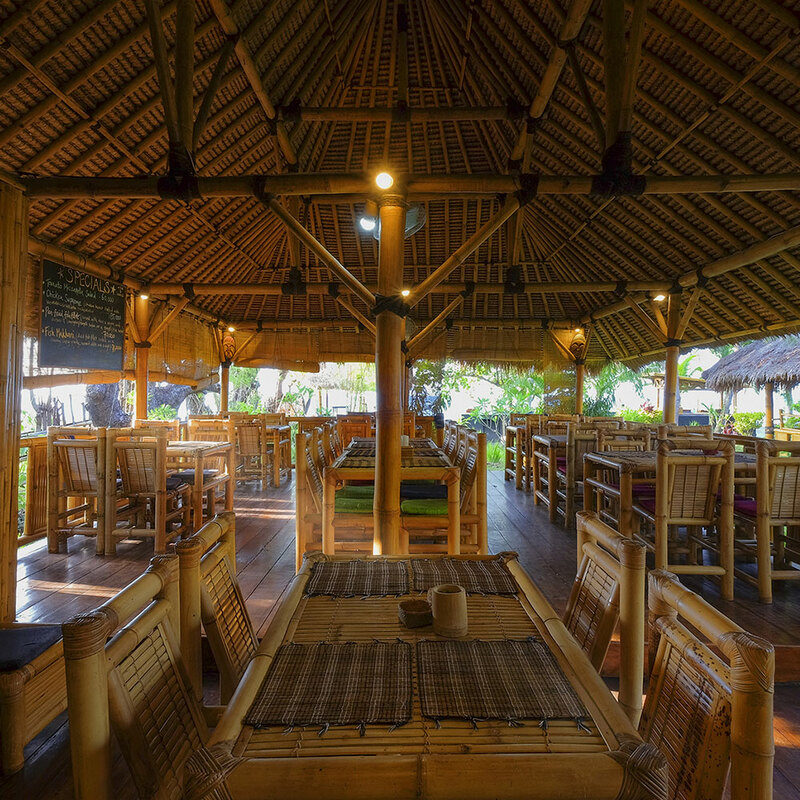 The Rinjani Eco Beach Resort has an on-site restaurant called “Le Chaudron” overlooking the ocean. 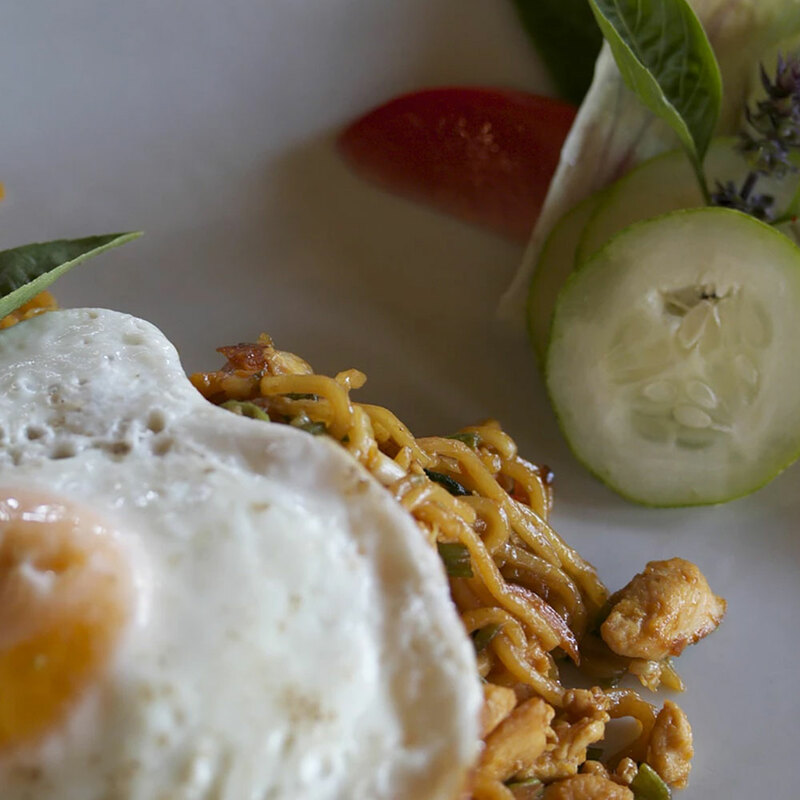 Our chef, Didi, will be delighted to have you taste his dishes and house cocktails. He has put together a menu that allows you to discover not only Indonesian specialities but also Mexican, Italian and French specialities. Neighbouring Bali is Lombok. Although less developed, it is an island of diversity. It is an island with a rich environment and culture. Its incredible landscape has beaches, plantations, rice fields and mountains. 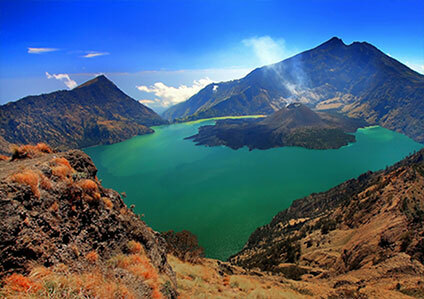 Lombok has beautiful beaches and Gunung Rinjani is an active volcano and popular trekking destination. It also has spiritual places such as temples and historical sites.